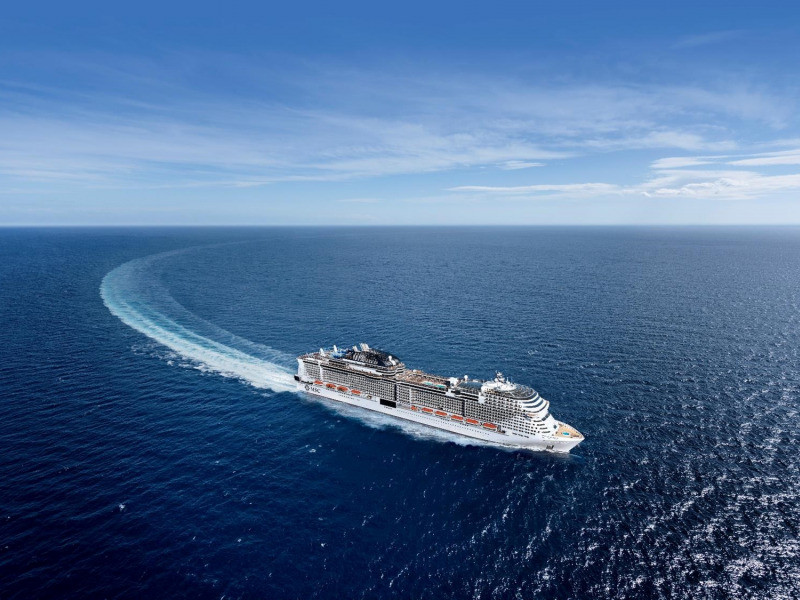 Geneva, Switzerland – October 9th, 2018 – MSC Cruises - the Swiss-based world’s largest privately owned cruise line and brand market leader in Europe, South America, the Gulf and South Africa - announced that sales for MSC Grandiosa’s maiden voyage departing on November 10, 2019, from Hamburg (Germany) to the Mediterranean are now open exclusively for MSC Voyagers Club members. MSC Grandiosa is currently under construction at the Chantiers de l'Atlantique (formerly, STX France) in Saint-Nazaire, France. She will be the first of two yet again highly-innovative Meraviglia-Plus class ships to come into service, in November 2019. MSC Voyagers Club members will have exclusive access to bookings for a two-week period through October 21st . 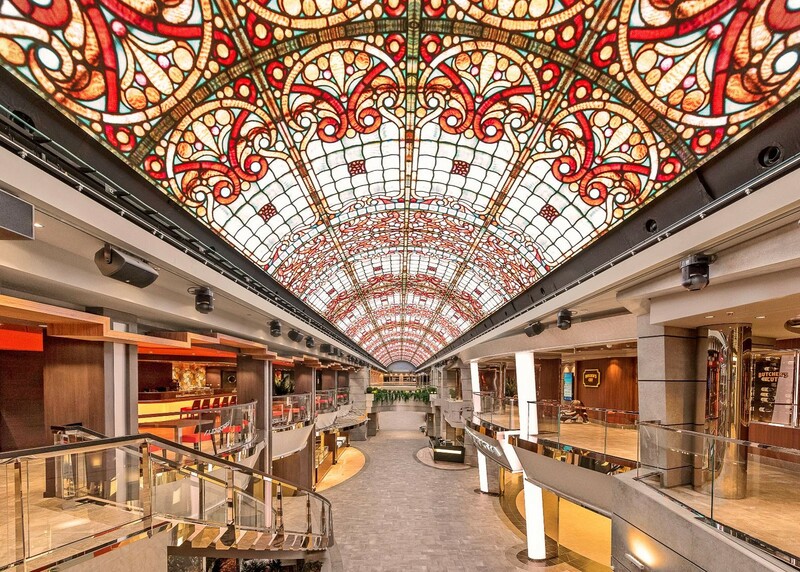 Sales for MSC Grandiosa’s inaugural season in the Western Mediterannean are already open and she will commence sailing from Genoa on November 23rd , 2019 with seven night itineraries i calling at six beautiful and historic destinations: Genoa, Civitavecchia, Palermo, Valletta, Barcelona and Marseille. Guests who will be the first to experience this state-of-the-art cruise ship can choose from a 10 or 13 night sailing, embarking in Hamburg and disembarking in Genoa, Italy or Marseille, France. MSC Grandiosa will also call Southampton, UK, Lisbon, Portugal and Barcelona Spain. 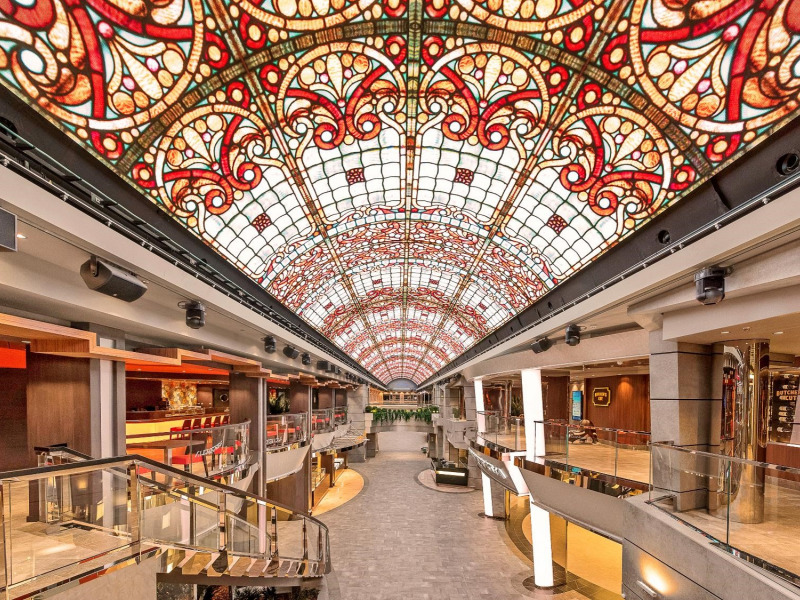 An overnight in each port will allow guests to even more fully explore each of the destinations and will also offer an opportunity for MSC Cruises to invite local travel agents and other partners on board to discover and explore this uniquely beautiful new MSC Cruises ship. Furthermore, MSC Grandiosa will become the Company’s newest flagship: the biggest and richest in features ship yet to be built by MSC Cruises, she will live up to her name, which means magnificence and grandeur. The MSC Cruises Meraviglia generation of ships – which includes the ground-breaking MSC Meraviglia and the next MSC Cruises’ ship to come into service MSC Bellissima, in March 2019 - is already setting new standards for the cruise industry and is just one of the three brand new highly-innovative prototypes that have been designed by MSC Cruises to bring the cruise guest experience to the next level. MSC Grandiosa will feature, amongst other soon-to-be-announced exciting features, even more public space to enjoy and live this unique ship, brand new and exciting dining options as well as the longest Mediterranean-style promenade at sea and led dome as well as other new features. The newest MSC Cruises flag-ship will be christened in Hamburg on November 9th, 2019 and will make the maiden voyage to her new home port of Genoa, where she will commence 7-night sailings in the Mediterranean starting on November 23. 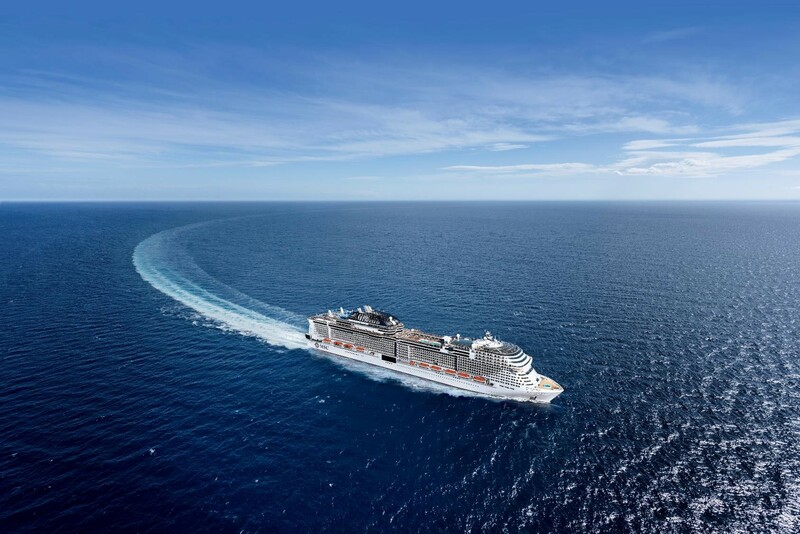 From October 22 onward, sales of MSC Grandiosa’s maiden voyage will open to all guests. MSC Grandiosa will bring to her guests, amongst other features, two brand new shows from Cirque du Soleil at Sea, created exclusively for MSC Cruises guests and these incredible shows cannot be seen anywhere else in the world or at sea! This is part of a long-term and exclusive partnership between MSC Cruises and Cirque du Soleil, the world leader in artistic entertainment, that will result in a total of eight original shows that will be exclusively available two on each MSC Cruises’ four Meraviglia and Meraviglia-plus class ships. • The MSC Yacht Club will continue to offer the more discerning cruise guest a luxurious stay in the ship-within-a-ship concept with key features such as the stylish Top Sail lounge, stunning One Pool Deck, private restaurant and 24-hour butler service. • Restaurant options on board include a choice of at least 12 different dining venues, ranging from specialty restaurants to the buffet and serving fresh, authentic food each and every day. A new restaurant concept will be introduced on the Promenade exclusively for MSC Aurea experience guests. • New family activities and entertainment building on the already extensive and award-winning offering . The DOREMI Lab will offer new themes each day, while the DOREMI Studio Lounge focusses on allowing children to have fun through the magic of music. This multitude of concepts ensure that children of every age will have an unforgettable holiday at sea. • An authentic Balinese Spa onboard, offering MSC Cruises guests a massive choice of health and beauty treatments. The MSC Aurea Spa boasts an exotic interior of natural stone, precious woods and rich mosaics, and is equipped with massage and treatment suites, hair and beauty salons and of course a thermal area. • MSC Grandiosa will be the second ship to feature the Zoe – the first cruise digital assistant, designed to provide the guest with a simple and stress-free way to find out information in the comfort of the cabin. Available in 7 languages, this innovative service is the evolution of MSC Cruises’ digital innovation programme MSC For Me designed to connect guests with their cruise experience. When booking MSC Grandiosa over the initial two-week opening of sales period, MSC Voyagers Club members will receive a special 5% discount in addition to their 5% loyalty discount as well as benefiting from being able to have the first selection of cabins.